Cadillac will showcase its luxury sedan, the XTS Platinum Concept at this year’s Abu Dhabi International Motor Show running from December 7 to 11 at Abu Dhabi National Exhibition Centre. The concept displays Cadillac’s emerging top-of-the-line Platinum series of models, emphasizing new expressions of luxury and technological features, including a plug-in hybrid propulsion system. The XTS Platinum Concept introduces a new approach to in-car electronics that improves the form and function of the car’s entertainment, navigation and information systems, a statement said. “The XTS Platinum Concept was designed to deliver an engaging driving experience without compromising the functional features, space and comfort customers seek in a luxury car,” said Fadi Ghosn, chief marketing officer for GM Middle East. 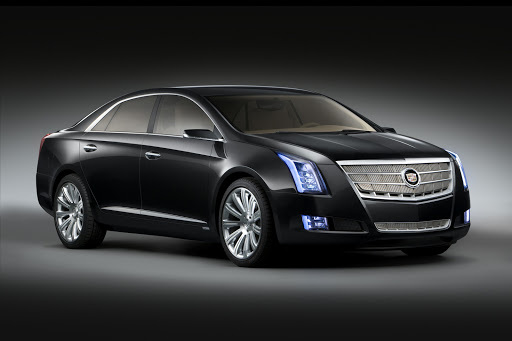 The XTS Platinum Concept uses Cadillac’s 3.6L V-6 direct injection gas engine, paired with a plug-in hybrid electric propulsion system (PHEV) that builds on the experience Cadillac has gained with the Escalade Hybrid and Escalade Platinum Hybrid flagship models. The key benefit of external plug-in recharging is that in many situations – such as overnight parking – the battery can fully recharge in roughly five hours while the car is not in use. The plug-in system operates at maximum efficiency when operating on power the battery has drawn from the electric grid. The car also previews a deployable touch-screen navigation system via the minimization of traditional buttons and switches. Light cream is the cabin’s primary color and is contrasted with darker elements, such as the steering wheel and an overhead console motif that runs the length of interior’s roof. The console is made of a richly finished wood and houses lighting features. On the exterior, signature elements essential to Cadillac’s art and science design language include vertical headlamp and tail lamps, with integrated light pipes and richly detailed lighting components. The headlamps feature light-emitting diode technology for bright illumination that requires less energy, as well as Cadillac’s adaptive forward lighting technology, which turns the headlamps with the direction of the front wheels for greater visibility in turns. 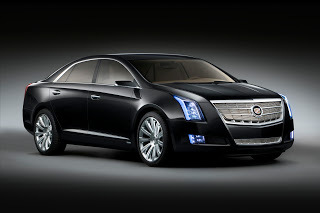 Magnetic ride control (MRC) enables the XTS Platinum Concept to deliver superior road-holding performance while maintaining luxury car composure in “regular” driving conditions, the statement said. An advanced, specially calibrated all-wheel-drive system ensures optimal traction in wet and slippery conditions, and helps deliver maximum traction while cornering. Four-wheel disc brakes, with four-channel ABS, StabiliTrak stability control and full-function traction control complete the drive train details. Cadillac will also be showcasing the 2011 CTS Coupe and CTS V-Coupe, the new luxury sports coupe designed as the centerpiece of the brand’s enhanced lineup at the Abu Dhabi Motor Show.